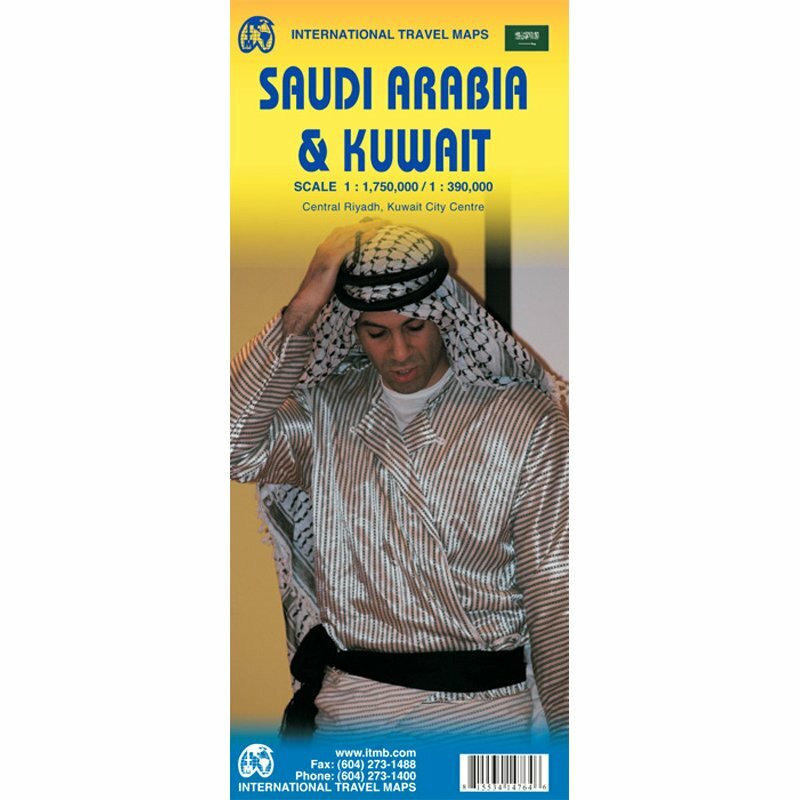 Description by ITMB: This is a double-sided map covering the Saudi Peninsula, with the major oil-producing country of Saudi Arabia on one side and the much smaller but also significant oil-producing country of KUwait just to its north. 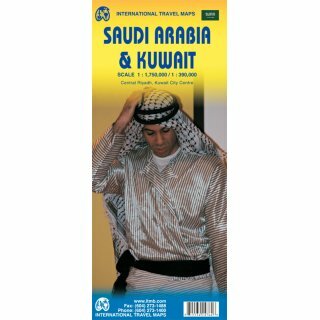 By the shape of the two countries, portions of Qatar, Dubai, Muscat, Iraq, and Yemen necessarily are included, with the same attention to detail. 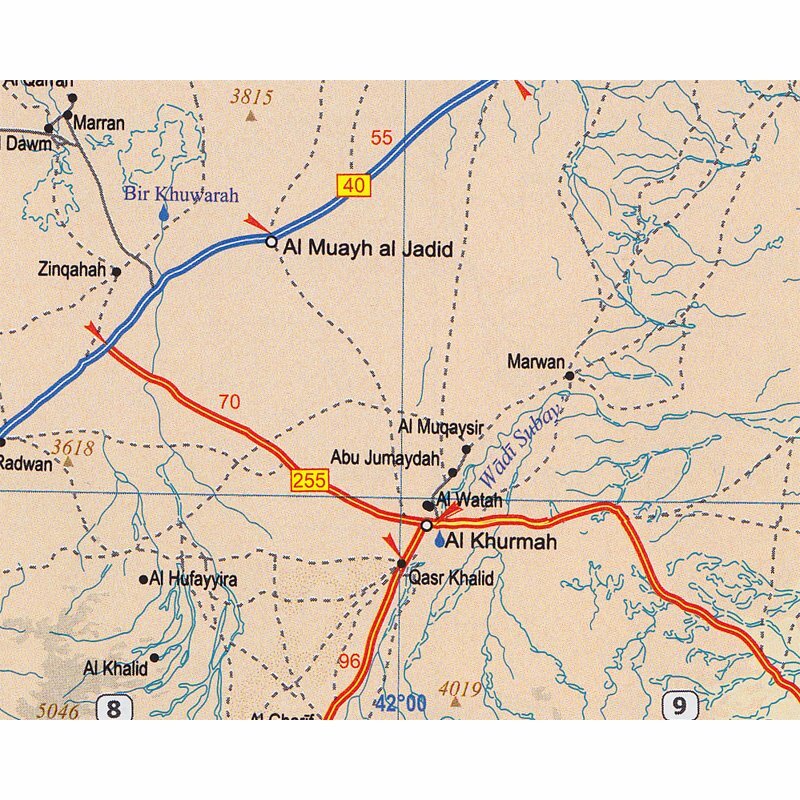 Inset maps of Ruyadh and Kuweit City are included. The peninsulq is not only immensely wealthy, it is the heart of what we call the 'Middle East', vying for religious, political, and economic dominance of the region with Iran and Turkey.